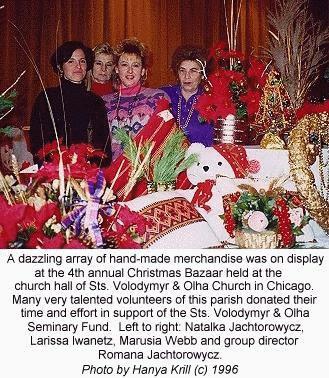 1996, Chicago. A painted wall on Chicago Avenue in the heart of the Ukrainian Village depicts the multi-ethnicity of Chicago's neighborhoods. If you know the name of the artist, please send us an e-mail. 1955, New York. 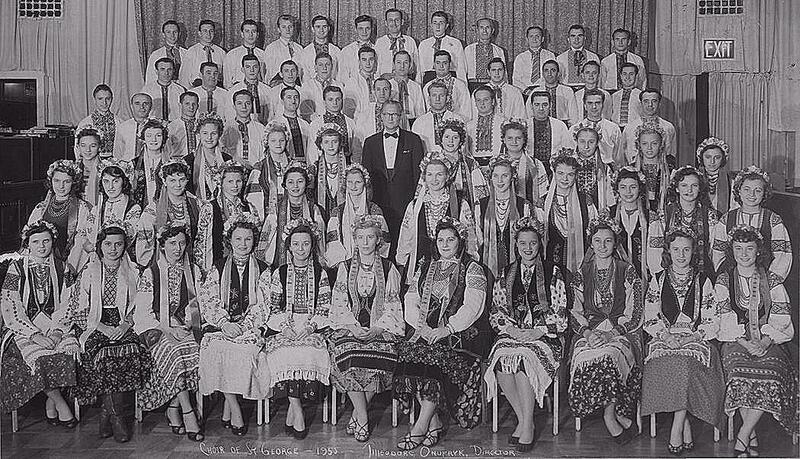 Choir of St. George; under the direction of Theodore Onufryk. circa 1940, Vienna, Austria. The Vienna Boys Choir? Standing L-R: Ivan Lysiak-Rudnytsky, Omelian Prytak, Bohdan Cymbalisty. Seated L-R: If you know - let us know, Vasyl Rudko, Eugene Pyziur, Volodymyr Kuczer. circa 1940, New York. 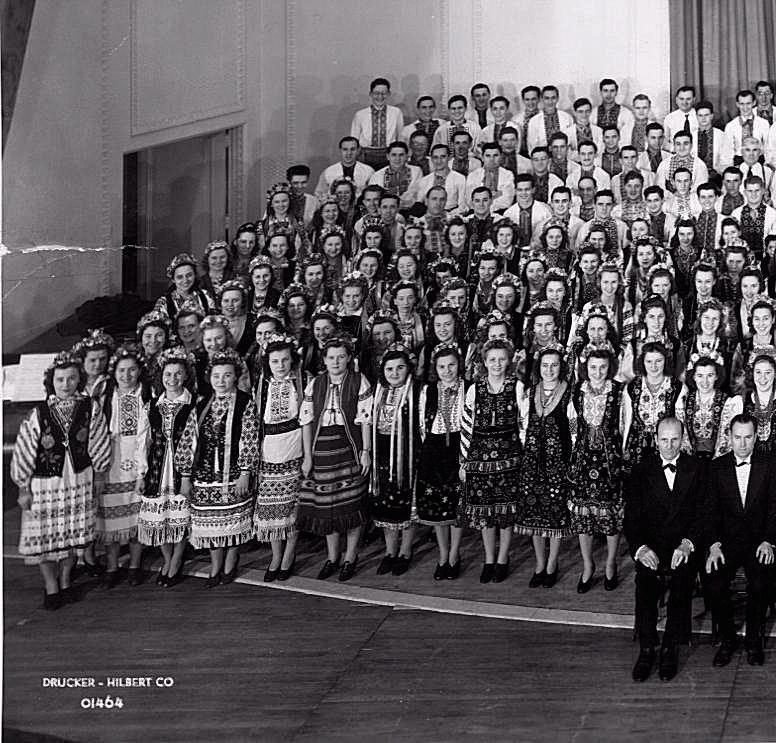 Choir of St. George; under the direction of Theodore Onufryk. If you know which year this was taken, please let us know. 1940, New York. 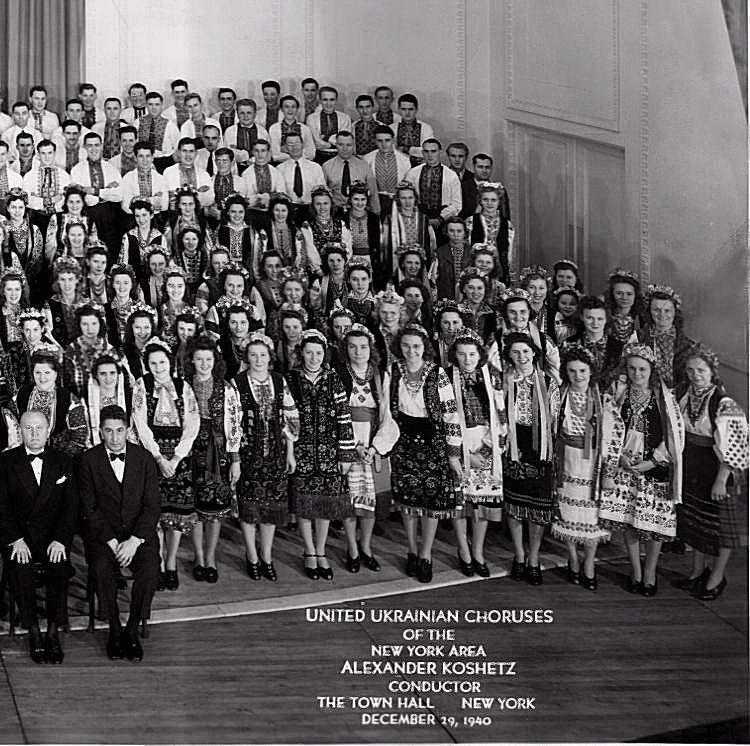 Seven east coast choirs joined to form the United Ukrainian Choruses of the New York Area under the direction of Maestro Koshetz. 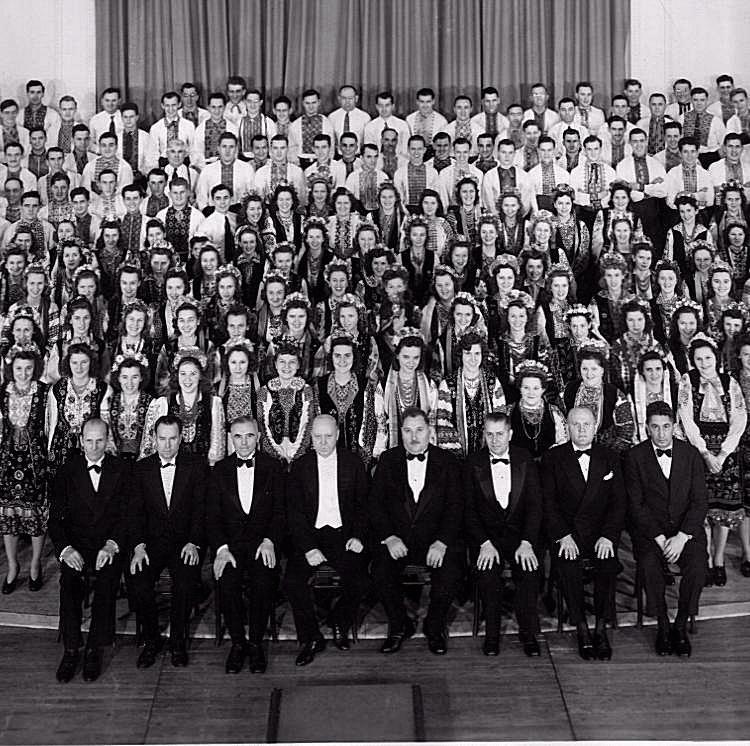 In the center photograph in the front row, you will see the choir directors from (l to r) 1. Brooklyn (? ), 2. New York City (T. Onufryk), 3. Newark (? ), 4. Maestro Koshetz, 5. Yonkers (? ), 6. Perth Amboy (? ), 7. Jersey City (? ), 8. Elizabeth (?). If you can provide the names of the directors and/or verify the city names, please let us know.